LONDON: When you think of an author, particularly one who writes fiction, the image that springs to mind is not someone in a suit carrying a briefcase and a Blackberry. Unless it’s a tweed suit. And the Blackberry is actually a piece of fruit. However, some entrepreneurial zeal to complement the creative spirit is becoming more and more important. So what are the new skills that authors are learning? And is this trend good for the publishing industry? Marketing, publicizing and selling a product are not often areas that authors will be familiar with. In the UK, a nation which has a tendency towards apologizing before doing most things, blowing your own trumpet is not something that often comes naturally. However, most publishers and literary agents would agree that when it comes to selling books, an author who makes an effort to build up a profile and make themselves known is much easier to promote than a shrinking violet. There’s a lot of noise out there and if you want to be heard, then you need to be prepared to shout. Fiona Skovronsky was business savvy from the start and wrote a book, The Smugglers’ Caves, that tied in nicely to a local tourist attraction. She set up partnerships with local schools, bookshops and the tourist center itself to host a launch. Prior to this, Fiona had very little knowledge of marketing and was pleased to have the opportunity to learn these new skills and to sell hundreds of books in the process. Richard Denning had never used social networking sites as a marketing tool. But, following a number of consultations with experts, he came up with a framework for the key places to target. This included creating a book trailer on YouTube for his book The Amber Treasure, something that was very new territory for him, but helped to spread the word further. Another author, Tony Judge, has been grateful for self-publishing sites which enable him to produce professional-looking books at competitive prices. He took the time to research recent trends in publishing to inform his marketing strategy. As a result he has produced multiple e-book versions of his two novels to try and exploit the emerging e-book retail channels. 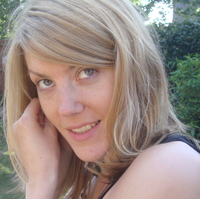 Clare Everett, who had experience in web design used blogging, tweeting and viral adverts on YouTube to help promote her book, Rigel O’Ryan and the Orb of Andromeda. She used a “surf and see” attitude: observed what worked for other people and had a go. As a start-up company, CompletelyNovel sees many parallels between our own experience and that of the authors that we work with. Starting up our business in 2008 was much easier than it would have been ten years ago. The availability of innovative tools developed by other start-ups and a wealth of information on the web meant that we could launch our product quickly and using readily available products, do a large amount of marketing ourselves with no upfront fees. We see a huge advantage in creating a similar environment for authors becoming publishers. It is now easy to produce quality books on demand and market them effectively through social media and other networks on a minimal budget. We have even started running a series of “Elevator Pitches” for writers on CompletelyNovel who want to test their entrepreneurial skills. This concept of pitching your product in a very brief amount of time to investors/users is very well known throughout the start-up world, so we thought we’d try it out on the publishing community. An increase in the commercial nous of authors has to be good news for publishers. Authors who have tried their hand at selling their own books, and therefore have some idea about the difficulties and need for promotion in book selling, will value more highly the work that publishers can do for them. In addition, by promoting to and contacting readers, authors will have a much better knowledge and reader base for the release of future books. If it fits with their creative vision, they can be thinking of the marketing and sales angles as they are writing their books. We are seeing an increasing number of authors who are able to teach their publishers a thing or two about marketing. In our recent Author Blog Awards, a shortlisted author got in touch afterwards to thank me for making her publishers take her blog seriously. They hadn’t realized how valuable it was. We need to embrace entrepreneurial writers and the innovative marketing techniques and increased engagement with readers that they encourage. We are competing in a world where more passive forms of entertainment such as film and music are ever more accessible. Entrepreneurial authors will help the publishing industry as a whole to fight back. DISCUSS: How can Publishers benefit from the Author-Entrepreneur?